Wow, haven't been here in over 10 years. Hope everyone is doing well! I pulled the cover, it's stamped September 1990 on the bottom. Massive amounts of dust! Massive! 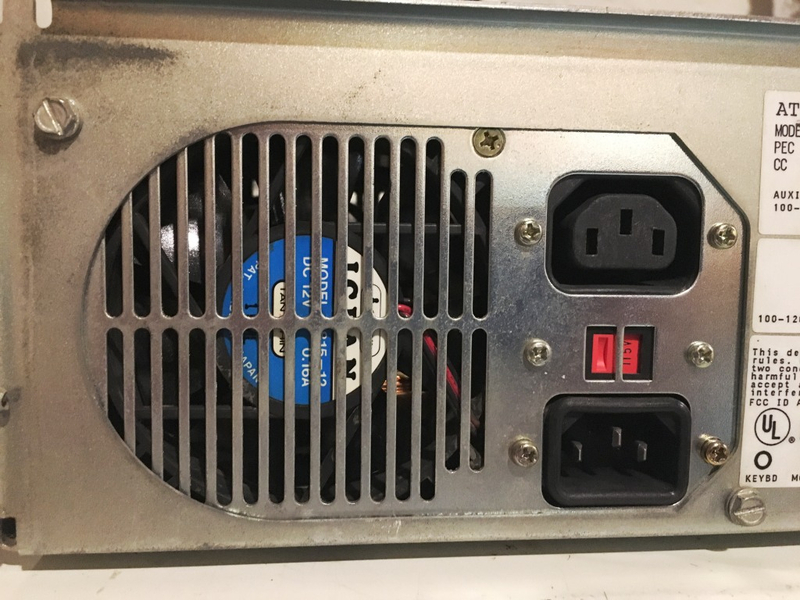 Both 6-pin power connectors were unplugged. One SIMM removed and laying in the case. Plugged in the connectors, I thought I was slick remembering the "black wires touching" rule, but alas, they're keyed... 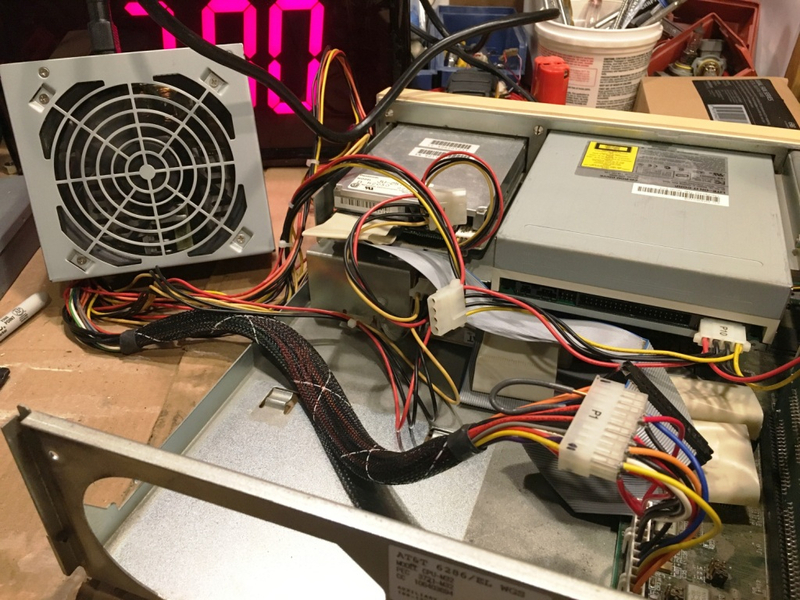 Pushed in the line voltage power switch, PSU fan comes alive, front panel power LED lights green, and the floppy drive has some activity. POST beep. 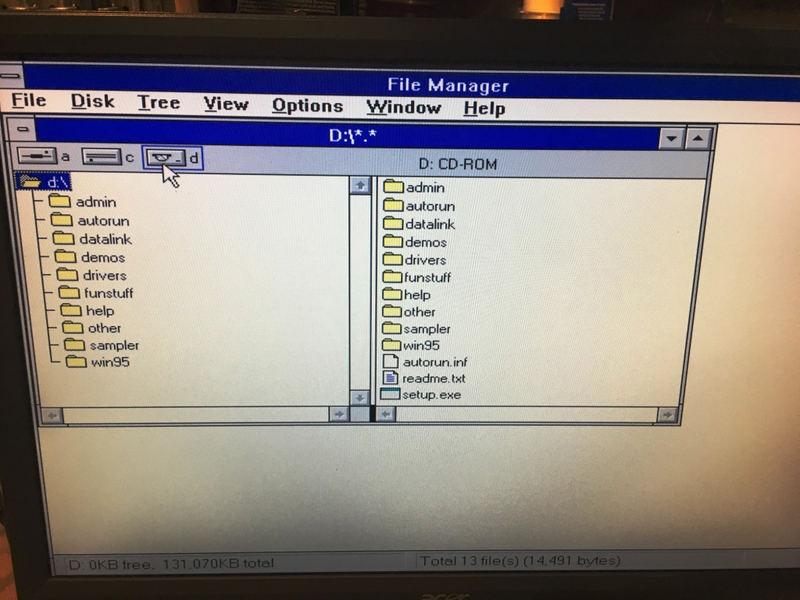 I was quite certain this BIOS would require a floppy to access the SETUP program, but sure enough, it's built in. Ctrl + Alt + Insert accessed it. 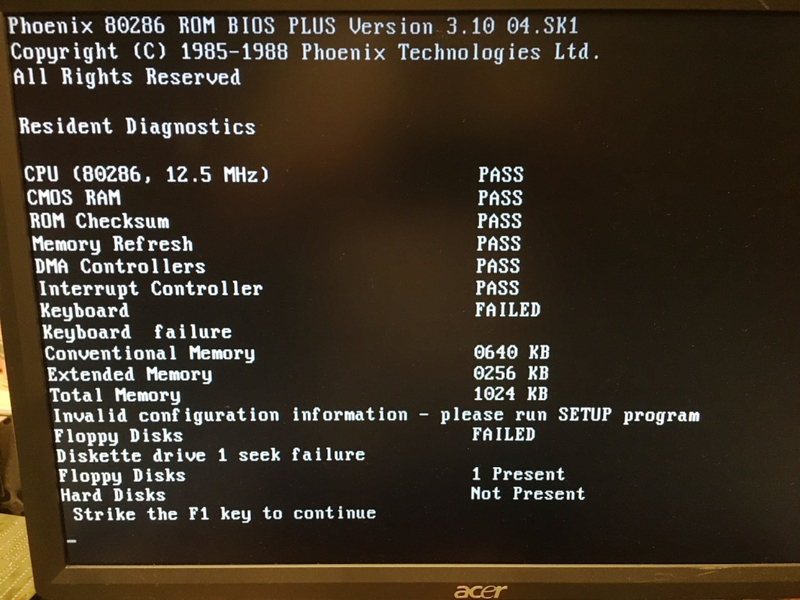 The BIOS is complaining about the RTC losing power. 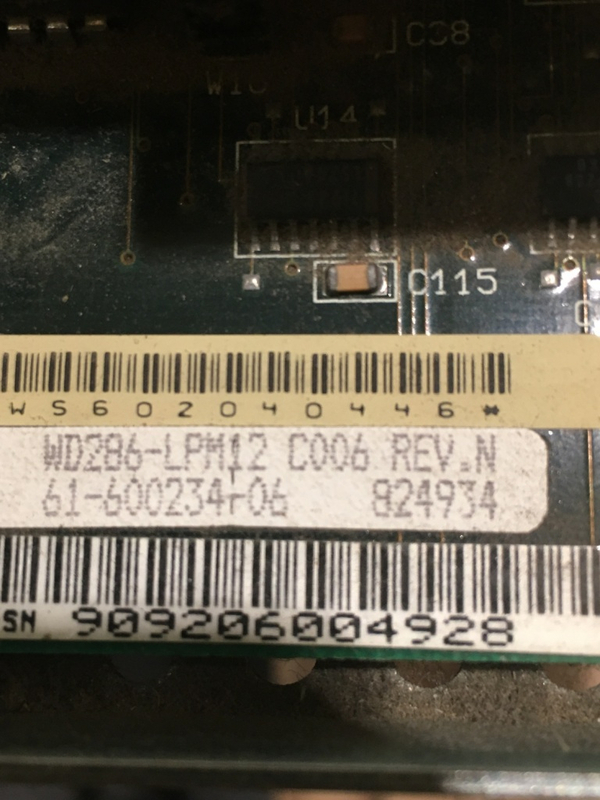 Any suggestions on battery replacement for this board? 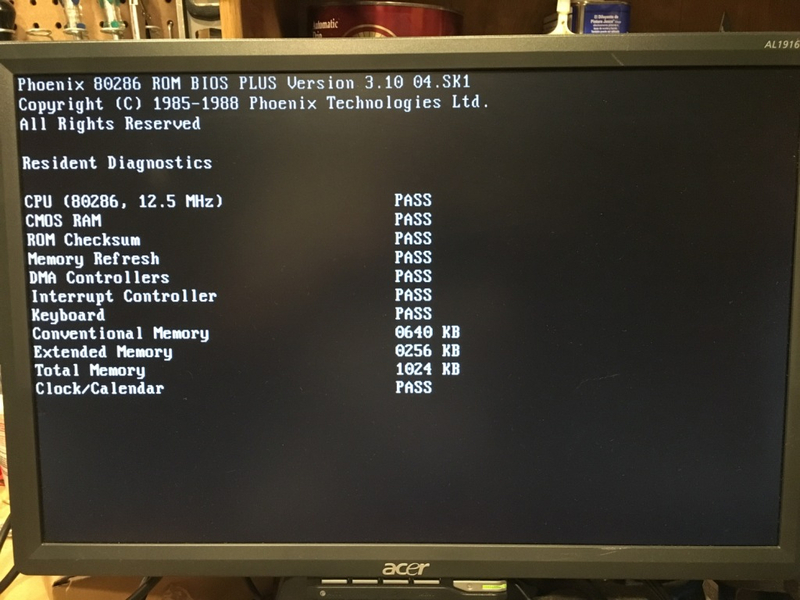 Until then, every boot means accessing the BIOS SETUP first to set the HDD type. I did a full PKZIP backup of the hard drive contents and intended on using it, but it since has failed the "initilization" during POST, so I've installed a more modern 4.3GB Seagate Medalist IDE drive, limited by the 504MB BIOS limit, which is just fine with me. More progress on the machine! 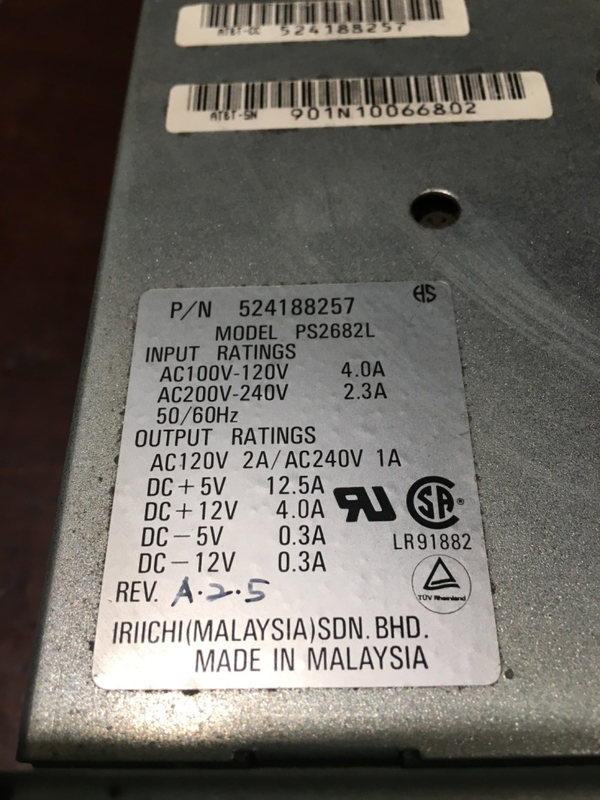 I have ordered a replacement identical Iriichi PS2682L PSU, and that'll be coming in a few days. 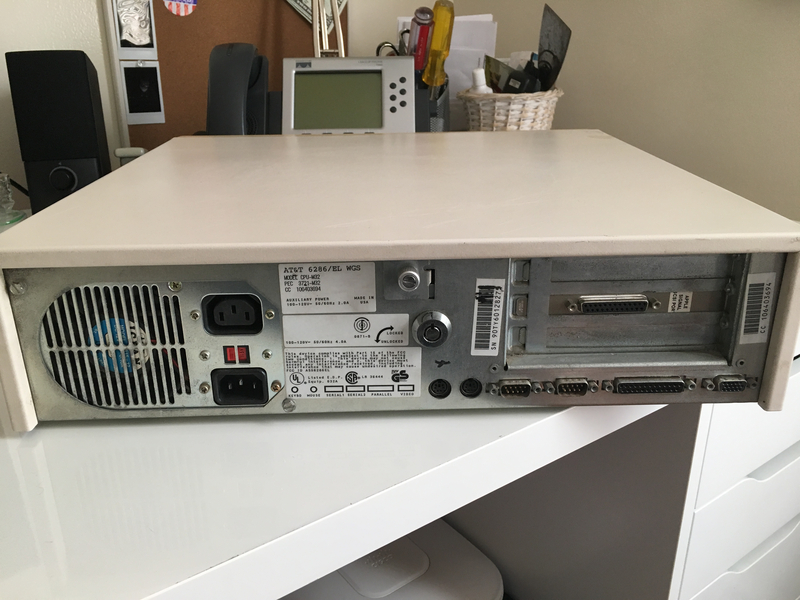 I love these older Sony drives for their nostalgia, but they are VERY sensitive to temperature. Normally the drives only recognize the CDs after they've "warmed up" a bit, and rather unreliably at that. 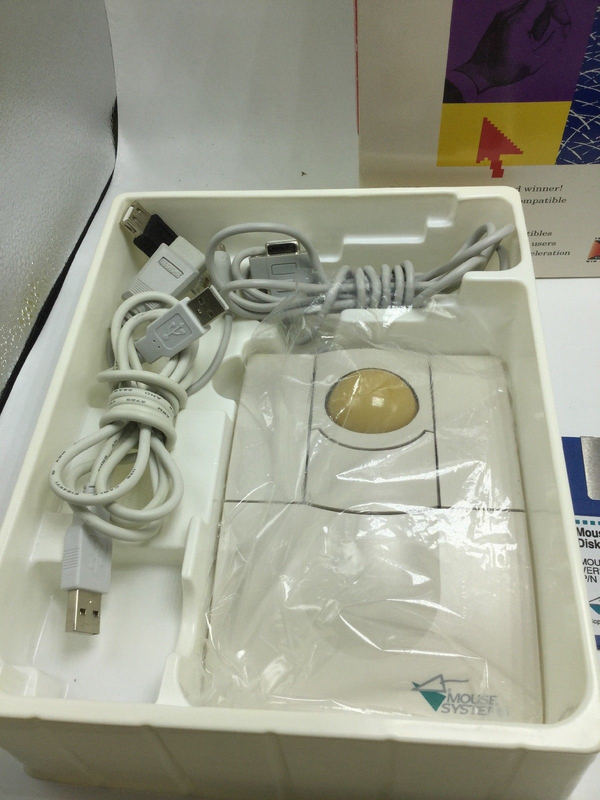 These are some of the first-generation Sony CD-ROM drives though, so I get it. 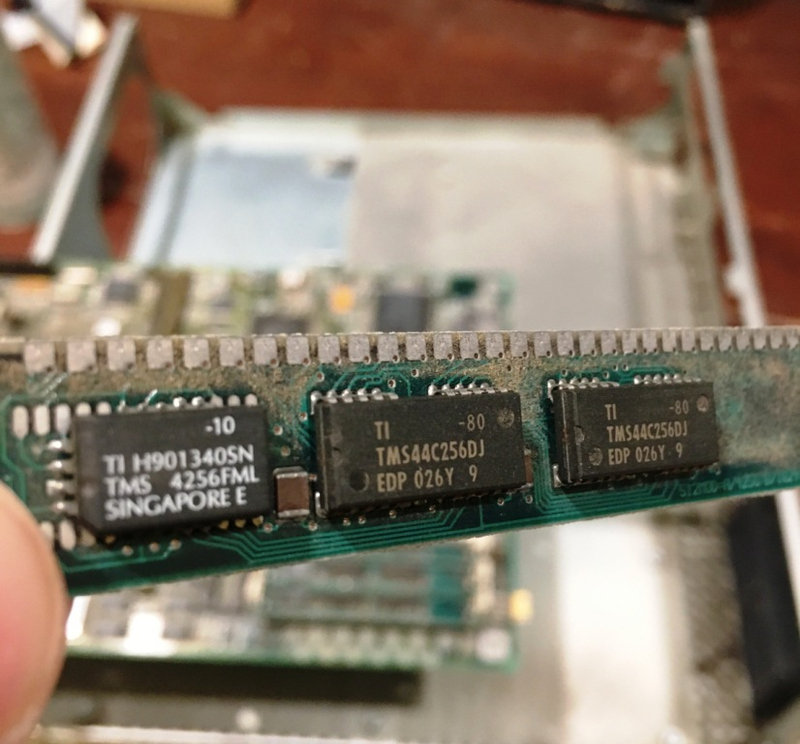 I have removed the terminal emulator card. 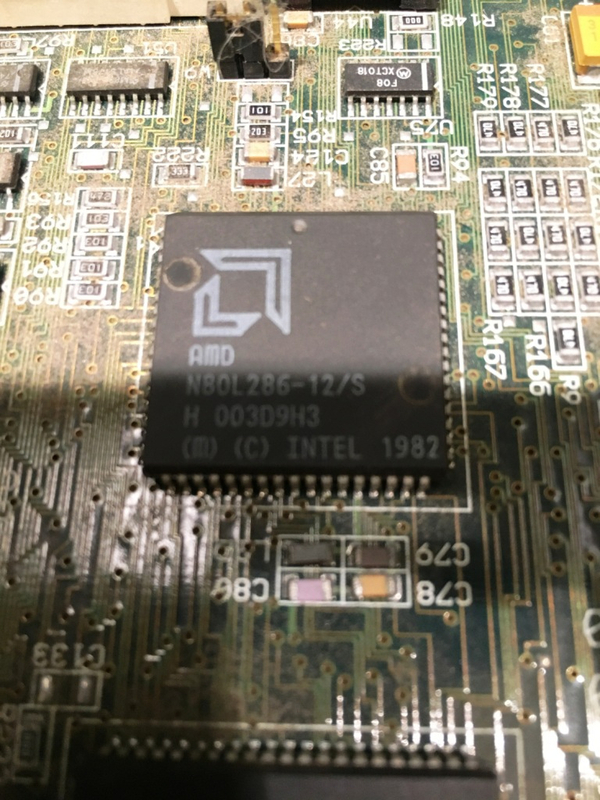 My next steps are to find some 1MB SIMMs as well as a proper sound card. I'll also be doing the "Retr0bright" procedure to the case and drive bezels, and perhaps the keyboard to get them back to white. 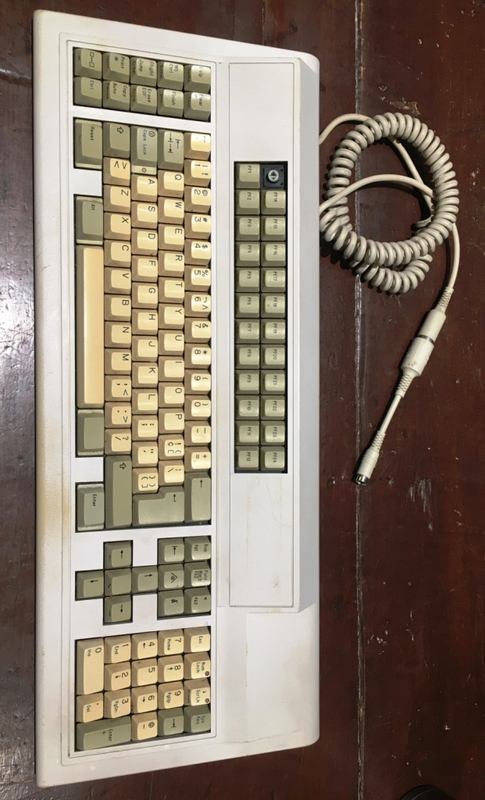 Speaking of the keyboard, I will have to investigate the DIP switch settings underneath once I find some information on it. They're on their way from Mouser! Nice showcase of an old system. 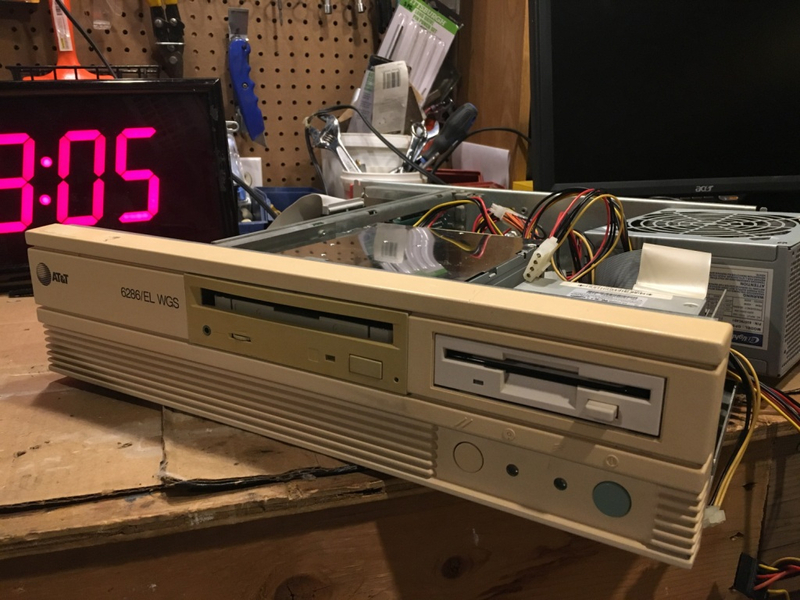 My oldest machine is a 386, I should give my old systems another once-over and see how they're holding up, been a few years. I will definitely be retr0brighting this system. It would be silly not to at this point. I suppose you could consider it a restoration. 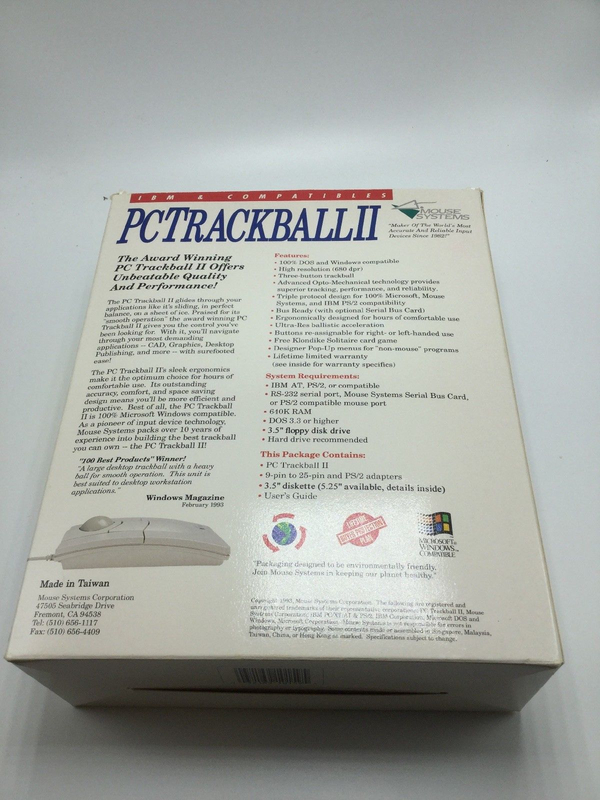 I’m wondering about that mouse ball too, I’m sure sure how well it will hold up. Maybe a lighter application at first to see? 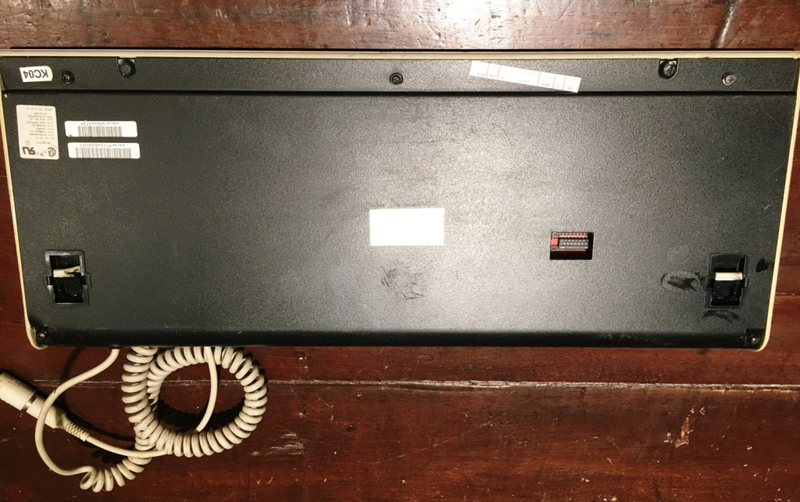 Are 5.25” floppy drives (what this machine was designed for) ever-so-slightly smaller? I've run in to drives that didn't fit exactly. Sometimes they were meant to be installed recessed - not too uncommon on full sized AT desktop cases. But sometimes it was just the result of OEMs sizing things for their own equipment. Thanks SomeGuy! I’m glad it wasn’t just me losing my mind or something. It’ll fit, just needs a little more tweaking. 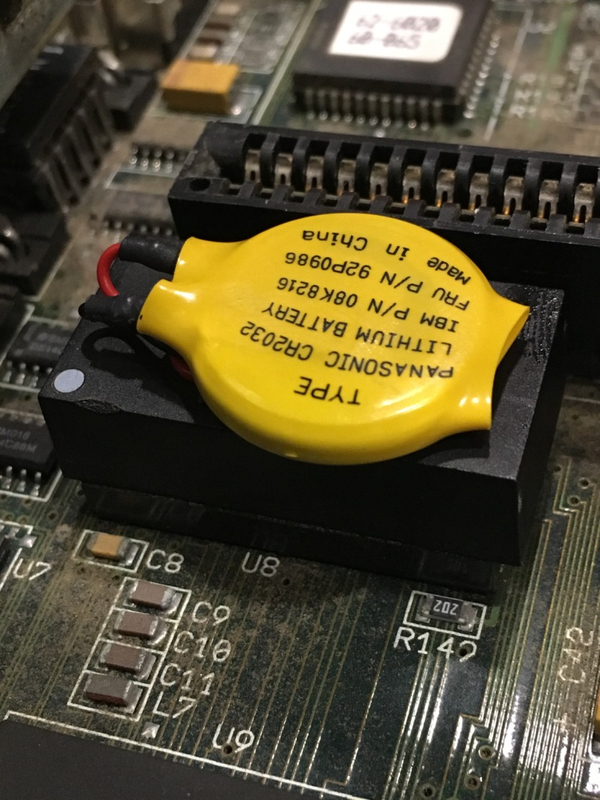 Ordered my 4MB (4 x 1MB) 70ns 3-chip parity SIMMs, so those will be installed soon. 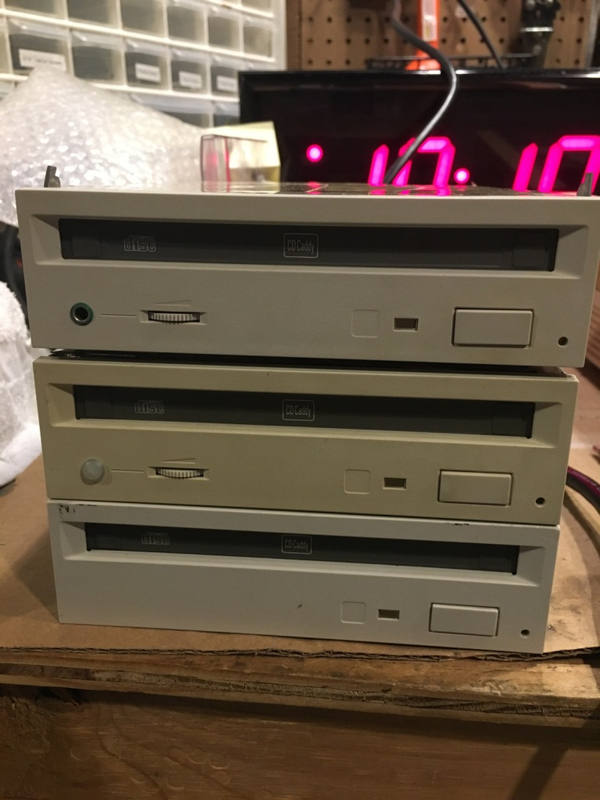 Caps for the CD-ROM and the PSU come in tomorrow so I’ll have a project lined up for the weekend! That's one good looking computer. Does it have VGA, CGA, or EGA? Thank you! Can’t wait to do the whitening procedure on the plastic! And it’s VGA. 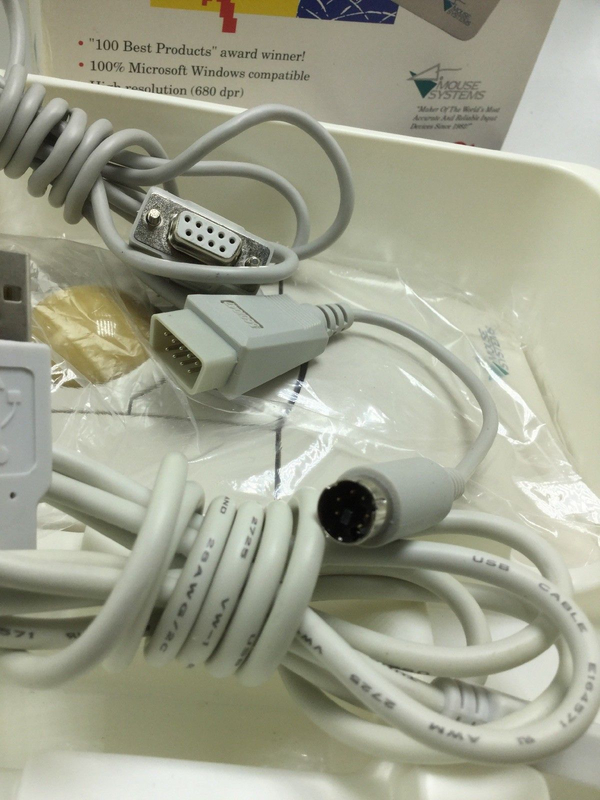 There’s integrated Paradise VGA graphics onboard. 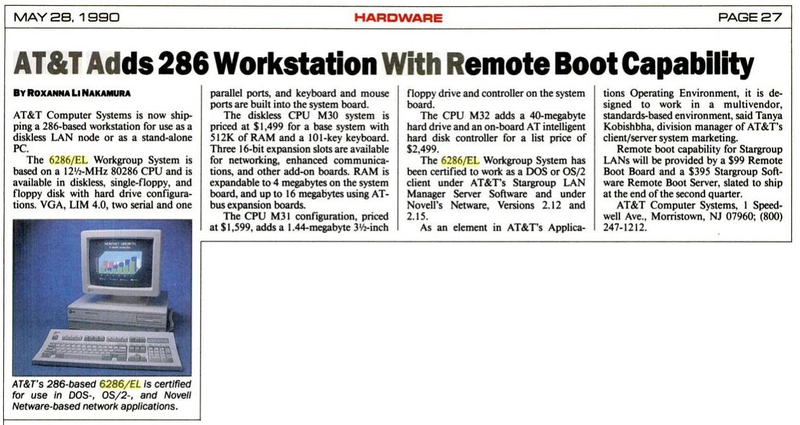 This is one of the newer 286s around, and has standard PS/2 ports for both Keyboard and Mouse, and has onboard IDE. I’ll try to get more shots of the case and ports. Cool. 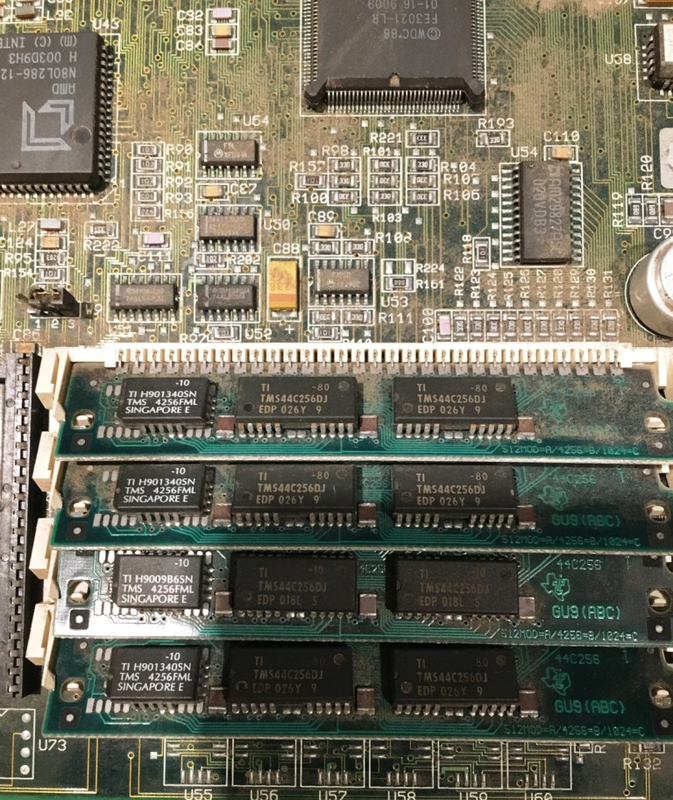 In my old 486, my dad installed an S3 Bahamas Paradise 64 VLB video card that had 2MB of video RAM. 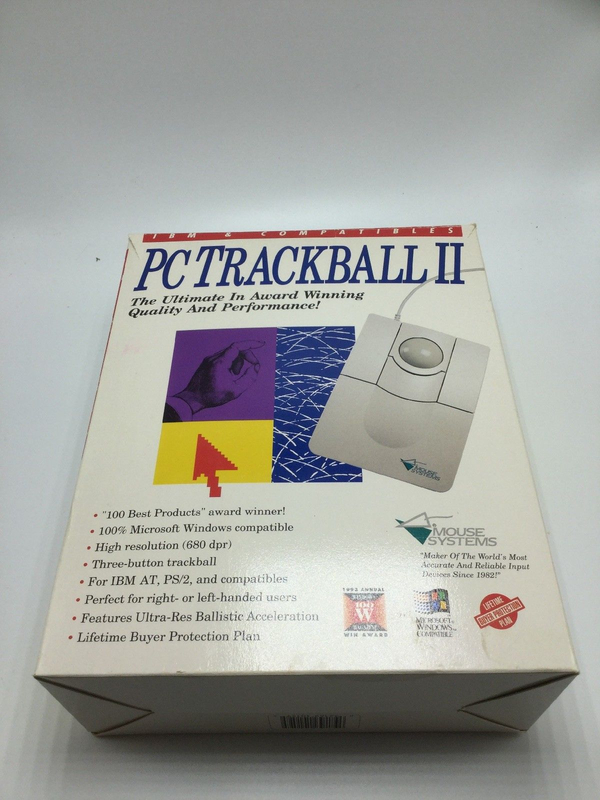 I wish I can install a 3DFX card in my Packard Bell, but, it's ISA only, sadly. 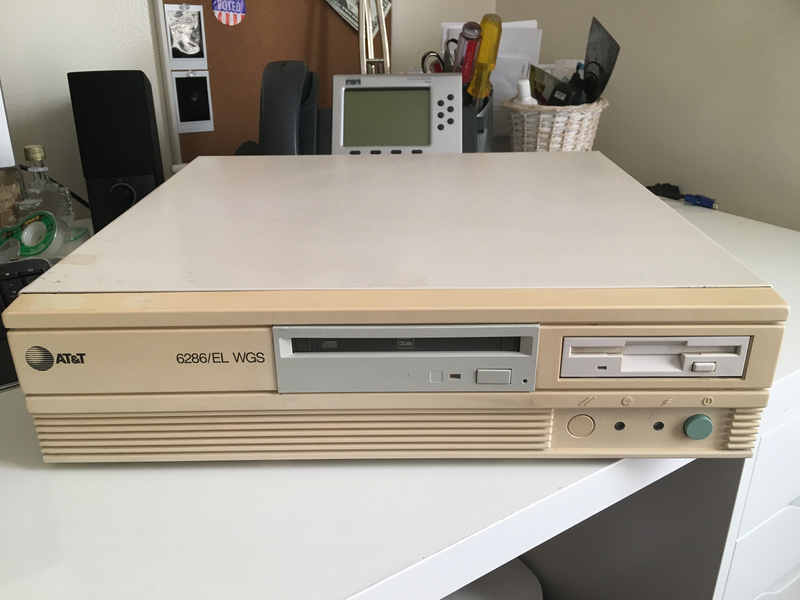 I'm thinking about getting an SVGA card for this machine. Would an ATI Mach8 be an appropriate choice for this machine? 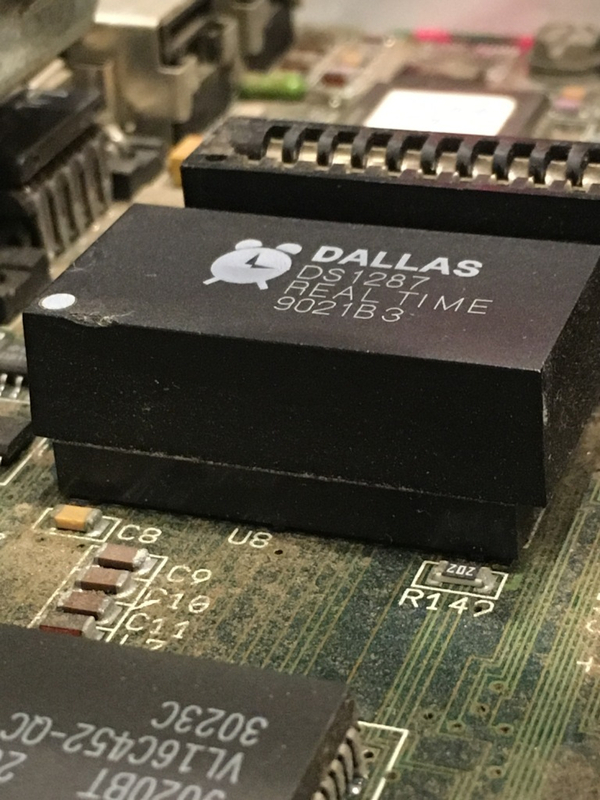 It's around the same time period, and is 16-bit ISA. 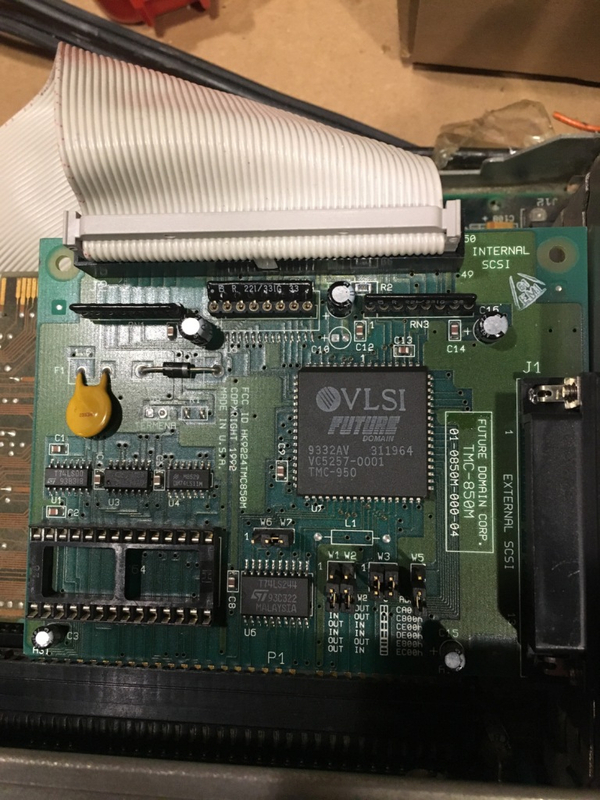 Apparently the card has two separate video controllers, one which runs the VGA core with it's separate 512k of VRAM under DOS, and the Mach8 core, with 1MB, which is activated when using the Windows 3x driver. Sound card too... SoundBlaster Pro/Pro 2.0 or a SB16? 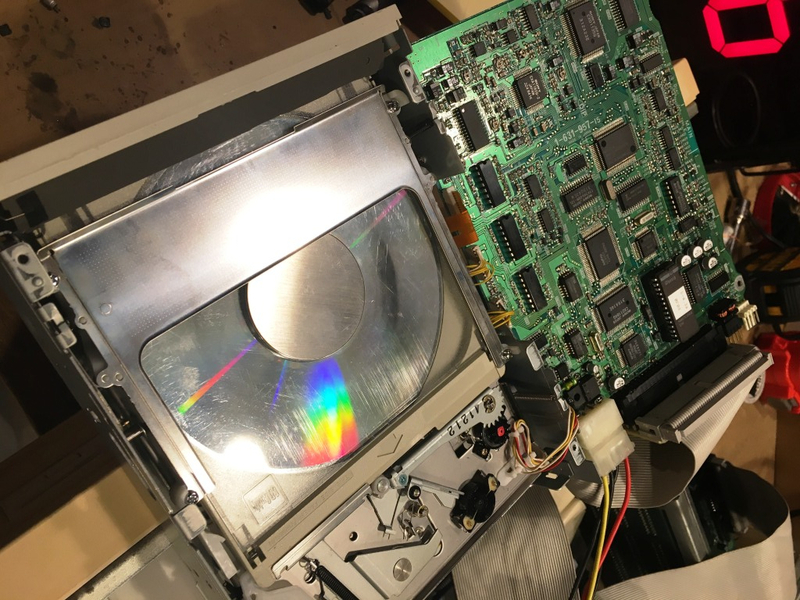 I've also revived the 1992 Sony SCSI CD-ROM by replacing the electrolytic capacitors! 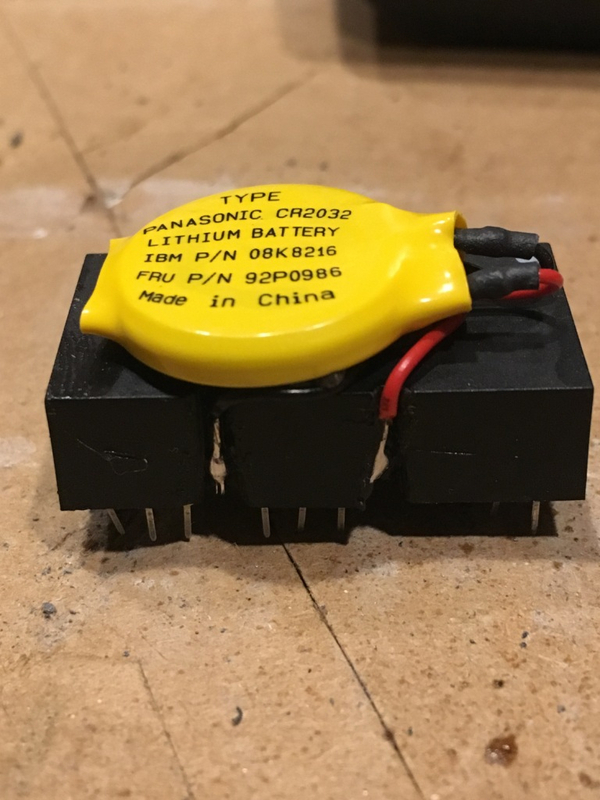 I'm going to build an indoor retrobrighting box soon, and will probably inspect my collection for leaking caps/dead cmos batteries. Replacing the caps brought that CD drive back to life? Wow. Awesome work. Those were the round surface mounted caps? I'm going to have to learn how to remove and solder those. 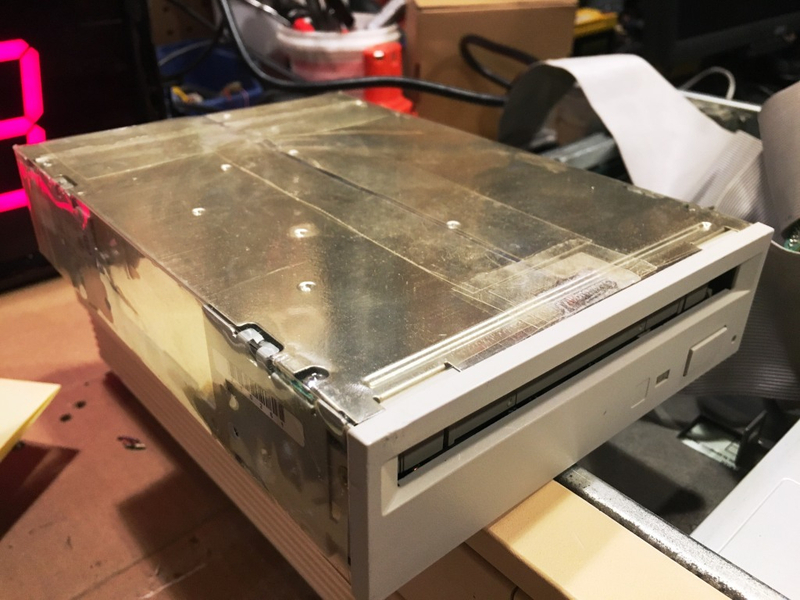 Over the years I have had all kinds of CD drives go flaky and crap out. They just don't last very long around me. 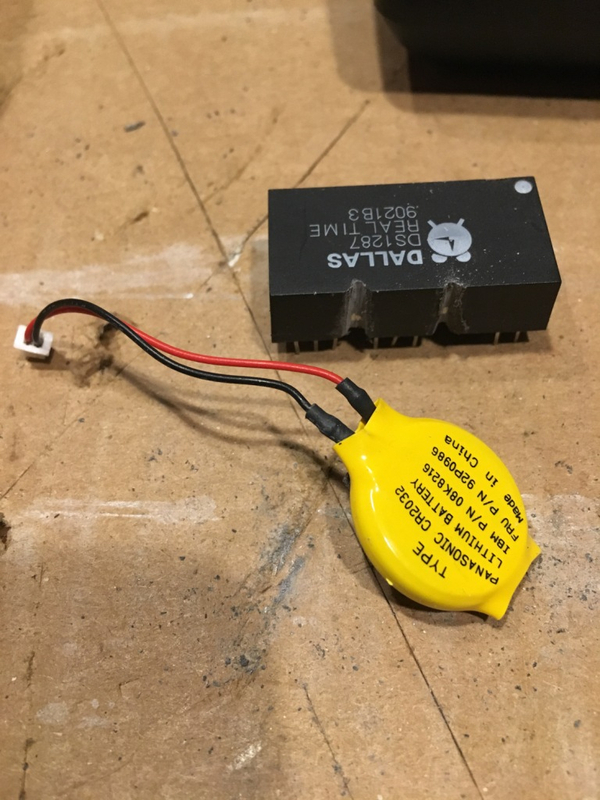 I can't help but wonder now if any were just crappy capacitors. I've watched a bunch of videos on youtube from people like AkBKukU and Adrian Black, they both do lots of restoration videos involving recapping stuff, lots of tips and techniques in there. I’m equally as shocked! 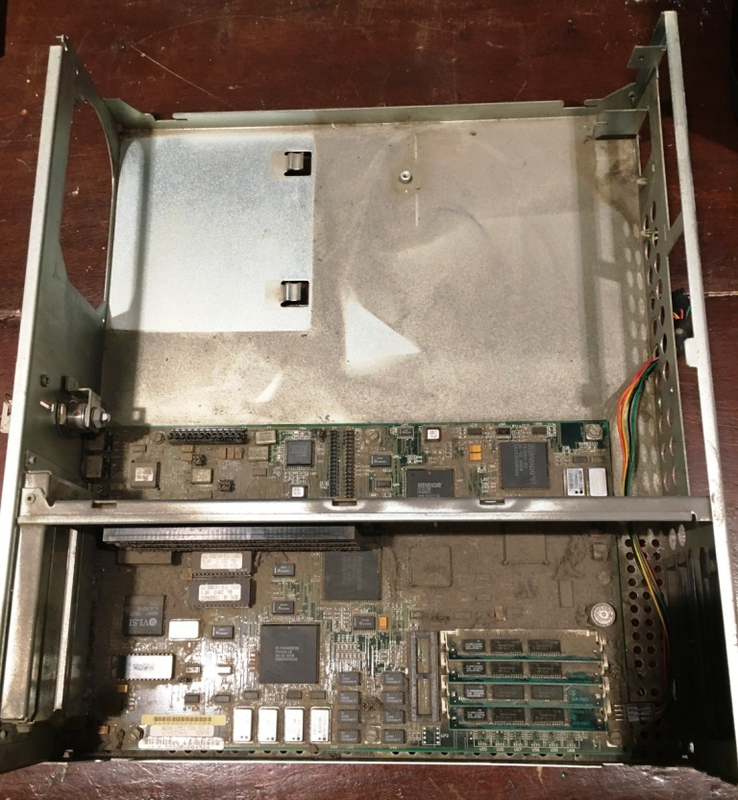 I was almost 100% certain it was the laser units, so I was trying to swap the board between the physical drives, but they all seemed to do it. 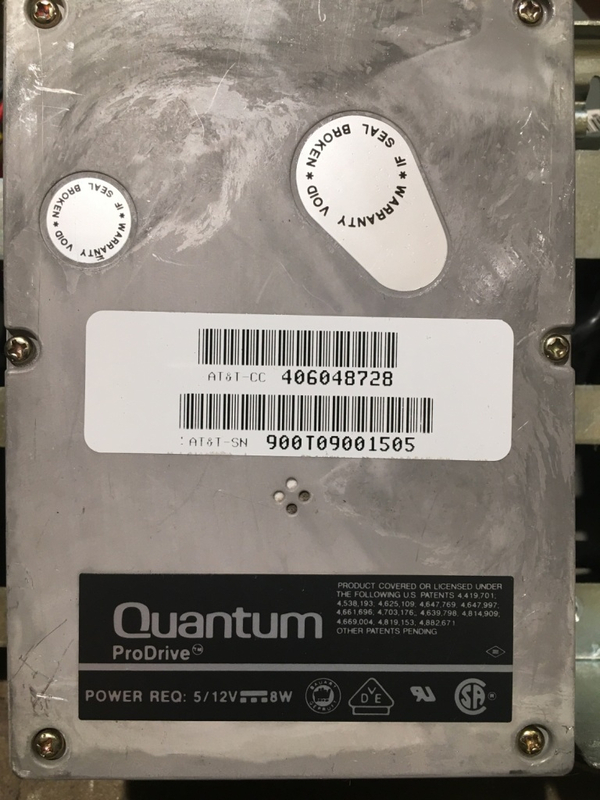 I was worried I had a stack of defective drives, and that they were just prone to failure... 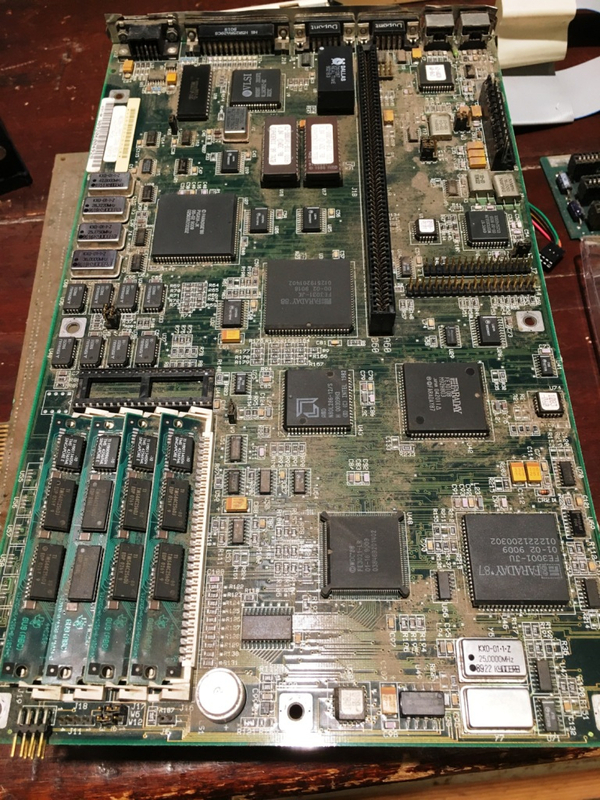 The issue is that I only have one SCSI board, the rest of the drives are Sony Bus (40 pin, pre-IDE, proprietary) and I don’t have any old sound cards, let alone one with a Sony-bus header to test them out, so I assumed they all had faulty mechanisms after swapping boards. I had no idea the board was the problem! Add to that the fact that the caps all looked just fine! No bulging, no visible leaking, nothing at all. To be honest, I really couldn’t believe it was fixed after soldering everything up. Thank god for the lighted magnifyer on my workbench and tiny soldering iron. I’ve ordered a SB-compatible sound card, an Aztech with modem and game port. From my reading it’s a very good clone of a SB Pro 2.0, for much less $. I also ordered a SMC EtherCard Elite just for the sake of filling a slot bay. I may try out some light networking if I get bored. 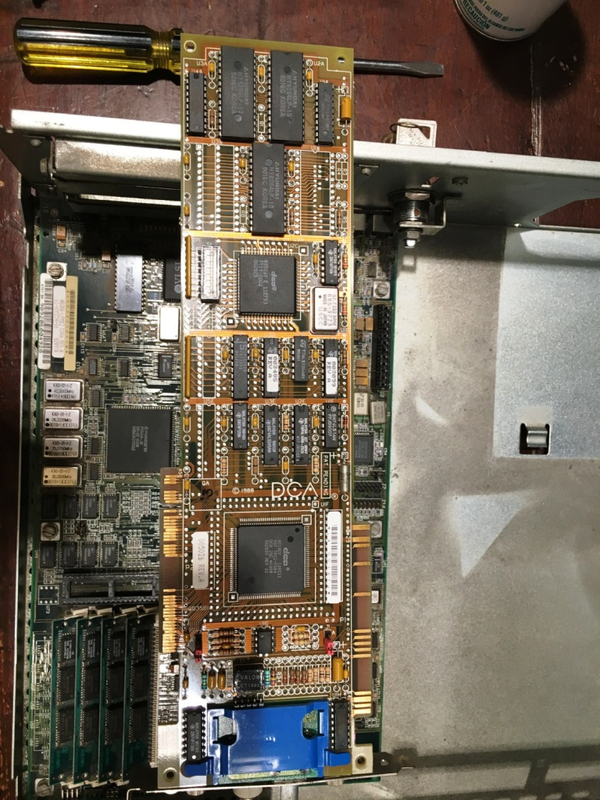 Now I’m looking for an SVGA graphics card to replace the Paradise ‘88 onboard VGA. Maybe something with a MB of VRAM. Thanks! I got the memory in yesterday. 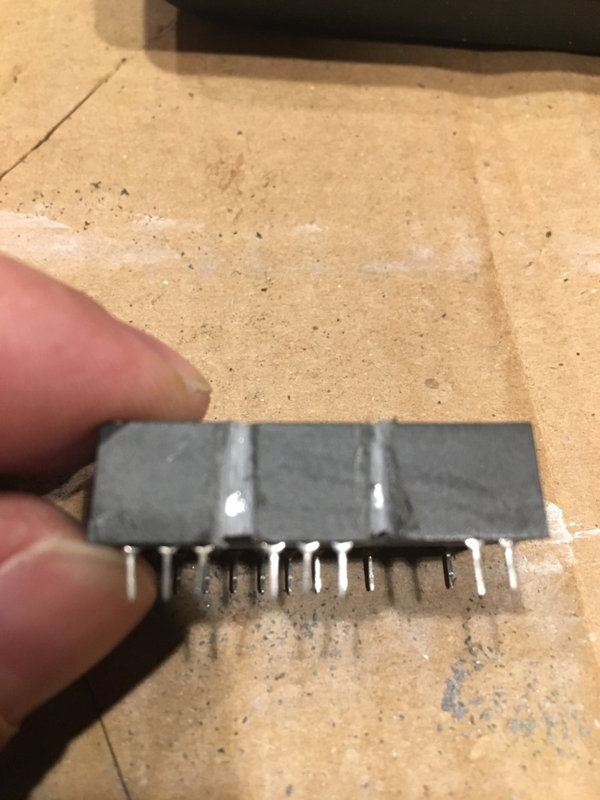 Four 1MB SIMMS of 70ns 30-pin 3-chip parity RAM. It was a matching set, Oki brand. I installed it, and the POST Extended Memory test failed, giving an error "Memory write/read failure at 1A5596, read E1E5, expecting E5E5. Decreasing available memory." 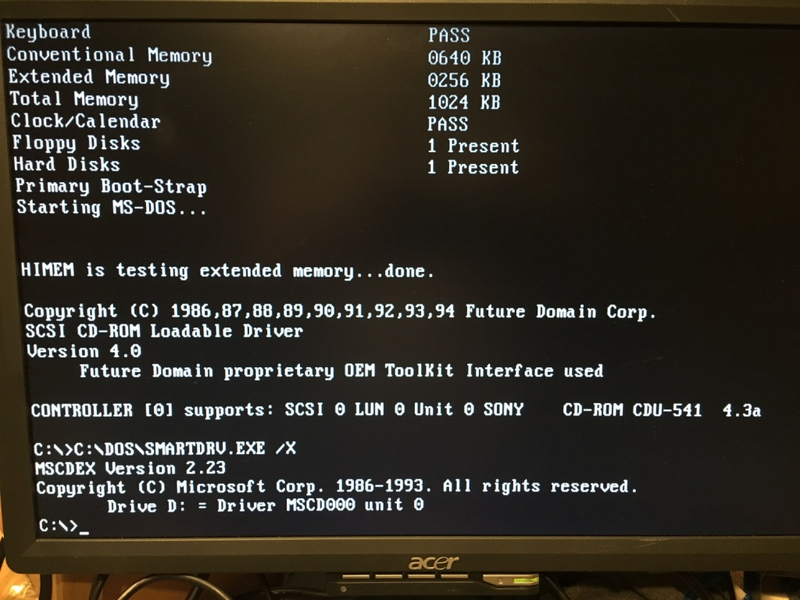 I would occasionally be able to boot with the BIOS recognizing all 4MB, but once I started Windows, it would freeze or throw the "Memory parity interrupt at 1C5B:0190" halt error. Luckily, I was able to throw it into my Macintosh SE, so that's now maxed out at 4MB. No waste. I've ordered a different set of 4, this time 80ns parity SIMMs like the original TI ones. We'll see! Thanks! Those are some nice cards. People are snatching them up quick! I'm still waiting for working memory to come in. I did check out a local Apple shop nearby. I gave him a call and asked if he had any 30-pin SIMMs. He said "Heck Yeah!." None of it was tested or labeled, though... Just a large clear bin of RAM. I did grab a dozen sticks, and I was able to get some to work. 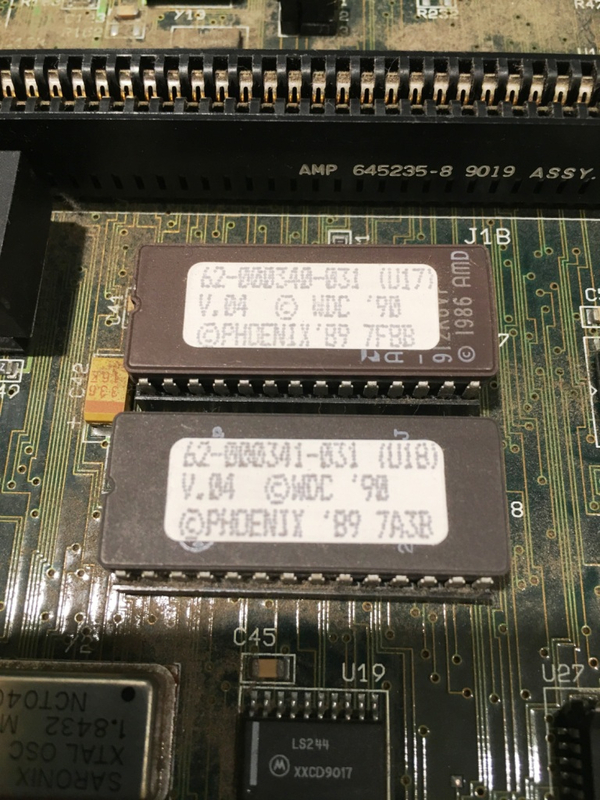 There were 2x 4MB labeled SIMMs, both were recognized as 1MB, and I added 2 of my original 256k SIMMs, for a total now of 2.5MB RAM. I also get the sound card in tomorrow!